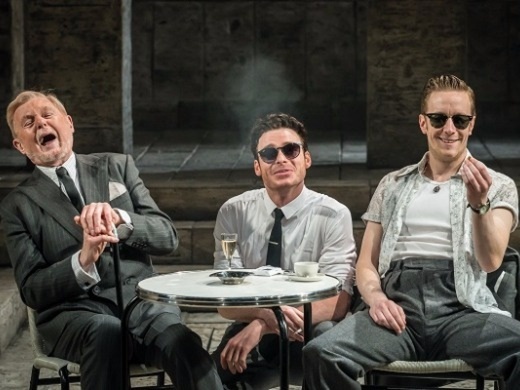 Working in collaboration with artistic associates, director Rob Ashford and designer Christopher Oram, the acclaimed actor-director Kenneth Branagh presents an exceptional series of five plays that bring together a remarkable group of actors, led by Rob Brydon, Freddie Fox, Judi Dench, Lily James and Richard Madden. Reuniting the stars of his celebrated film of Cinderella, Kenneth Branagh directs Richard Madden, Freddie Fox and Lily James who play the leads in Shakespeare’s heartbreaking tale of forbidden love. 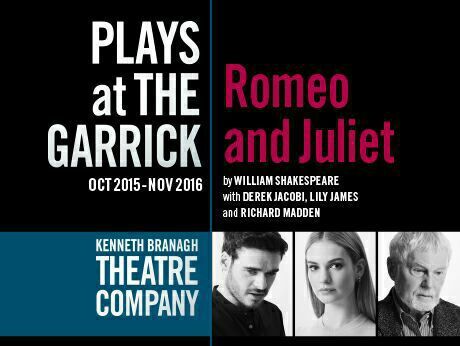 Richard Madden and Freddie Fox will be sharing the role of Romeo to allow Richard Madden to recover from an ankle injury. In an additional cast update, the role of Paris will now be played by Matthew Hawksley due to Tom Hanson injuring his leg. 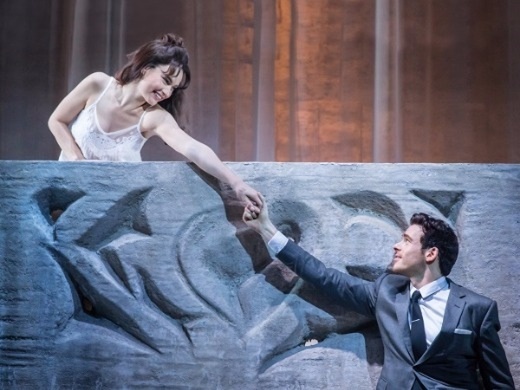 The Kenneth Branagh Theatre Company today sadly announced that due to medical advice, Richard Madden will not be returning to the company of Romeo and Juliet before the production completes its run on 13 August. Richard Madden injured his ankle last month whilst running and has been receiving physiotherapy since. However, although Richard is expected to make a full recovery, the injury to Richard’s ankle has not healed as quickly as hoped, and as a result his doctors have prescribed further rest which makes it impossible for him to return to the stage before the production closes. 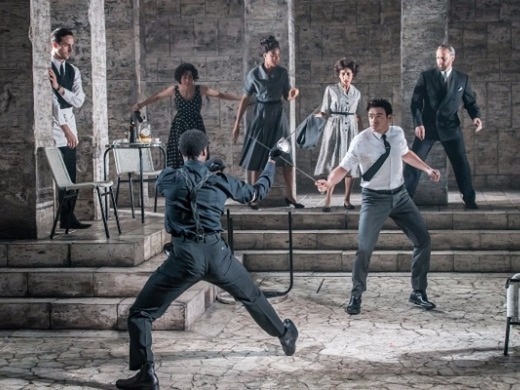 Freddie Fox will continue to play Romeo, having joined the company last month after off-stage injuries meant that both Richard Madden and his understudy, Tom Hanson, who in addition has played Paris in the production, were unable to perform. Freddie Fox joined the company ‪on Tuesday 26 July following 48 hours rehearsals. Freddie recently played the role of Romeo at Sheffield Crucible Theatre. His recent theatre work includes A Midsummer Night’s Dream at Southwark Playhouse and later in the year he will appear in the revival of Tom Stoppard's Travesties at the Menier Chocolate Factory. 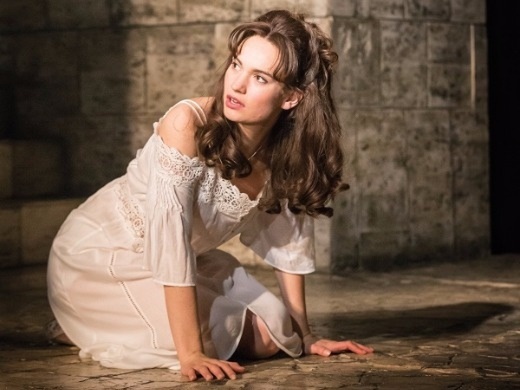 The full cast includes Marisa Berenson (Lady Capulet), Jack Colgrave Hirst (Benvolio), Tom Hanson (Paris), Matthew Hawksley (Anthony), Derek Jacobi (Mercutio), Lily James (Juliet), Taylor James (Prince), Ansu Kabia (Tybalt), Richard Madden (Romeo), Racheal Ofori (Potpan), Nikki Patel (Balthasar), Chris Porter (Lord Montague), Zoe Rainey (Lady Montague), Michael Rouse (Lord Capulet), Meera Syal (The Nurse), Sam Valentine (Friar Laurence) and Kathryn Wilder (Peta/Apothecary).